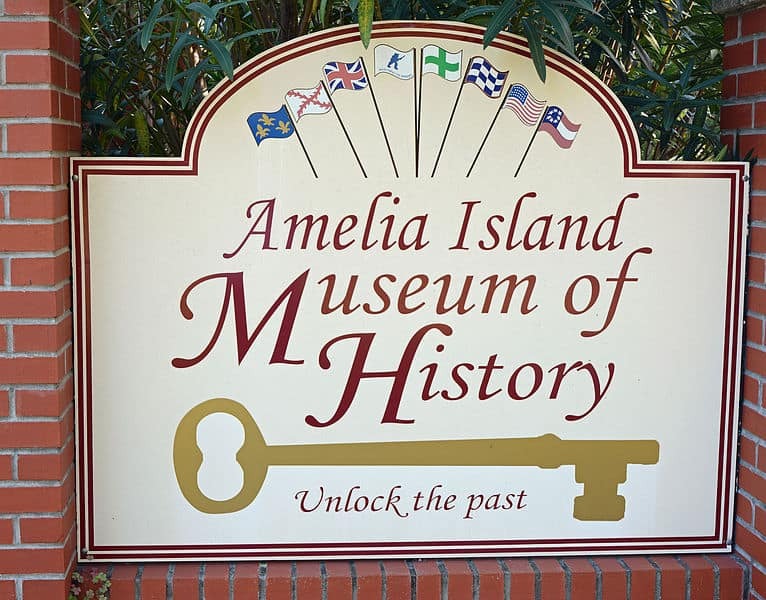 When the Amelia Island Museum of History opened in the late ‘70s, it was not necessarily designed as the historic gem it is today. What was humbly opened by a board of 15 trustees who hired a single person to catalog the museum, has grown to be one one of the state’s most insightful stops. It is now a cultural centerpiece for some the most riveting Florida stories and the enduring artifacts that accompany them. Since its inception, the museum has undergone many exhibit additions and even a name change. But what hasn’t changed is the authenticity with which it celebrates the history of Amelia Island. Stop by on your next vacation getaway to experience Amelia Island history firsthand and unearth the hidden secrets and enthralling stories that helped shape the post-war United States. The Amelia Island Museum of History has eight permanent exhibit rooms, with at least one seasonal exhibit available at any given time. The exhibits showcase the magic of Amelia Island’s history, telling many stories of the island. Below are some of the top Amelia Island museum exhibits you can see today. The Historic Preservation exhibit features wall to wall plaques with accompanying images. You can review Amelia Island history pictorially, covering different landmarks and cultural events, as you go. The Jail exhibit is a definite highlight. The entire museum is held within the former Nassau County jailhouse. The eerie aesthetics still hang in the air, and that is especially apparent in the recreated jail room exhibit. The room gives you a glance into life as an inmate, fitted with the few things provided inmates during their “vacation stay.” It’s a glimpse into a former world. The Civil War exhibit has been expanded to encompass the history of the Florida railroad. The two joint exhibit areas cover conflict on Amelia Island. You can also learn about the odd history of David Yulee, the country’s first Jewish-heritage senator and founder of the Florida Railroad Company. This exhibit covers the Spanish Mission period of Amelia Island, a history covered in turmoil and controversy. It takes you back to when Spanish missionaries were sent to the area to deliver the word of God. It resulted in stories of tumultuous conflict. The room is covered in plaques, artifacts, and murals. Tours are available at the Amelia Island Museum of History. Visitors are welcome to explore any of the exhibits above on their own or opt for the expertise of a local guide. The museum is the first of its kind in Florida — a place where oral tradition is revered. Visitors can join group tours, specific tours that cater toward children, or tours of the surrounding attractions (i.e. Centre Street, South Fernandina). Tickets are $8 for adults and $5 for students. Tickets can be bought online or at the door. For further information, contact the museum desk at (904) 261-7378. Call for details regarding group tour discounts, schools packages, seasonal events, and more. The museum is located at 233 S 3rd St., Fernandina Beach, FL, and open from 10 a.m. to 4 p.m. Monday to Saturday and 1 p.m. to 4 p.m. on Sundays. We offer invaluable insight into Amelia Island history, attractions, and exhibits – and match it with spectacular Amelia Island vacation rentals. Start planning your next vacation getaway today.